Gainesville Florida Mold Remediation. We handle your mold damage claim from estimating to completion. 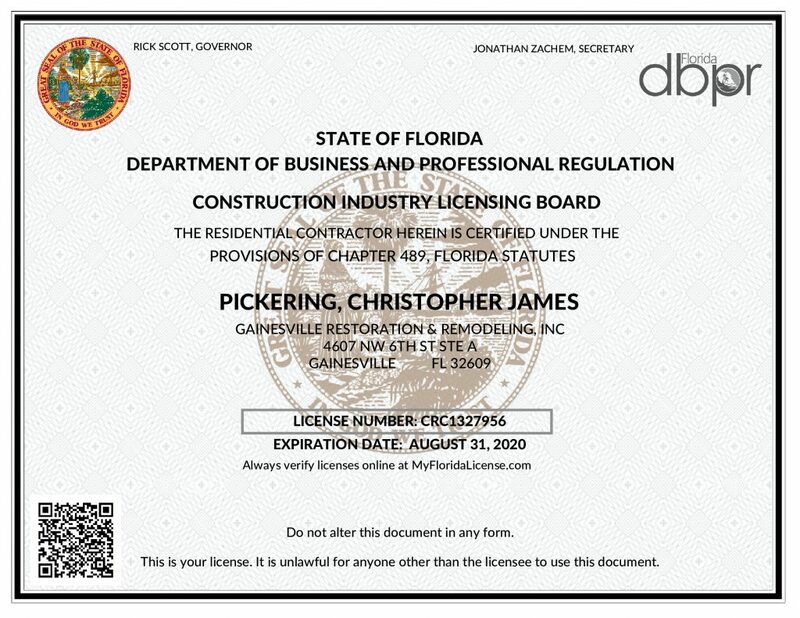 We are State Certified mold remediation experts with a 2-year guarantee on ALL workmanship. If you’ve had excess water in your home for a period of time; there’s a good chance you may also have mold or mildew present. At Gainesville Restoration and Ocala Restoration; our technicians are experts at not only removing mold and mildew but also helping to prevent it from returning. So, if you have a problem with mold or mildew, give us a call today. Let us get to work ridding your home of this unwanted condition; to ward off its return in the future. 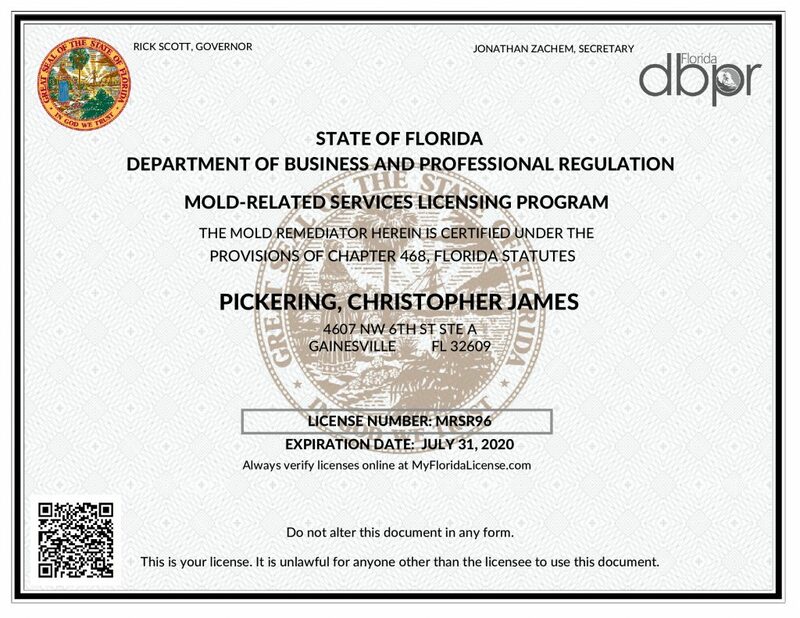 For the area’s best mold removal specialist; contact our office in Gainesville today at (352) 372-1221 or our Ocala location at (352) 622-5277. You can also contact us here. Moreover, have you spotted a dark green or black substance in the damp areas of your home? If so you may be looking at Stachybotrys Atra – commonly referred to as “Black Mold“. Black Mold is very toxic to many people; so you should make plans to hire a mold removal contractor as soon as you notice it. This kind of mold is fairly common and is very hazardous to your respiratory system. Our mold remediation and removal efforts play an essential role in warding off health issues such as; airborne illnesses and allergies while preventing future damage to your home or property. We’ll assess the damage and provide you with the best remediation and mold removal techniques available; to restore your home to its original condition before it was contaminated. 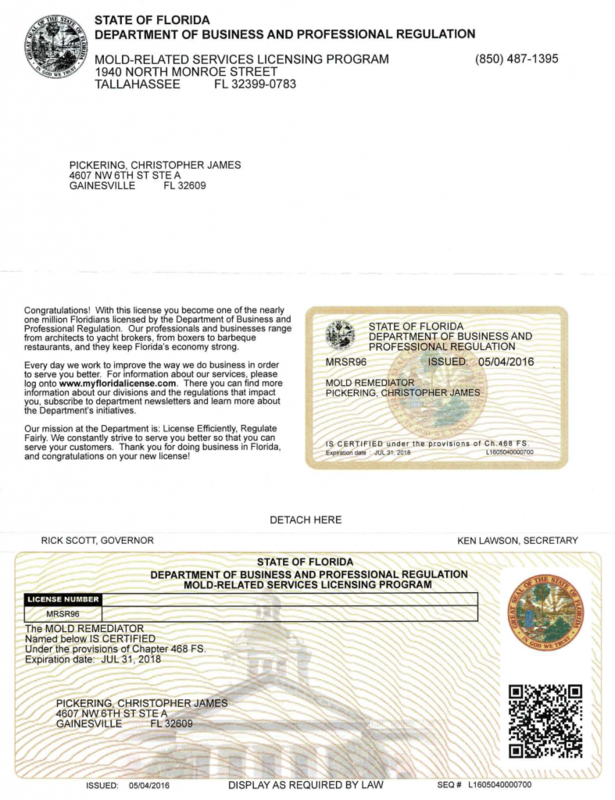 At Gainesville Restoration and Ocala Restoration, we ensure that all of our mold removal specialists are licensed and highly trained. Our mold remediation specialists have the necessary experience to assess your mold damage and contamination; in order to properly remove the mold from your home or other property. So, for expert service in mold removal and remediation; contact us as soon as you notice signs or symptoms of mold contamination.